Brett Paving and Building Products are part of the Brett Group today one of the UK’s leading providers of construction and landscaping materials. We specialise in the manufacture and supply of high quality landsacping products as well as delivering comprehensive information to builders merchants, architects, local authorities, engineers and contractors. Whatever your needs and aspirations, Brett Landscaping has an extensive range of products to reflect your lifestyle. Manufacturing a full range of concrete products, produced with highest quality materials, using up-to-date industry technology, you will be sure to find the perfect product for your driveway or garden. If you don't fancy any of our great concrete products, why not choose from our stunning range of Natural Stone. Each piece, being ethically sourced and unique, adds a touch of individuality to your project. UK (Barrow-upon-Soar, Leicestershire) based business providing paving and building products. 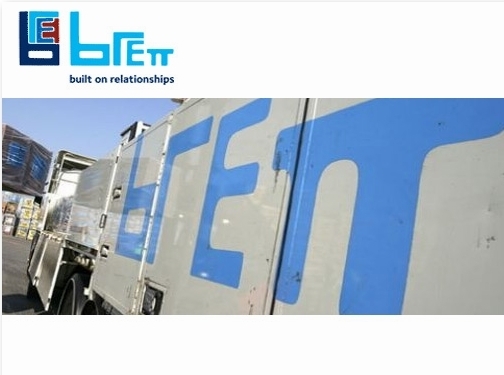 Website includes details of products and services provided, case studies, terms and conditions, accreditations, certifications, associations, regularly updated blog / news section, details and links to other Brett Group divisions, full contact details.